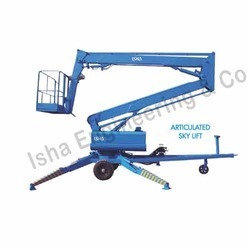 Prominent & Leading Manufacturer from Coimbatore, we offer straight boom type aerial work platform, articulated sky lift, sky lift, spider boom lift, telescopic cylinder platform and articulated boom type aerial work platform. 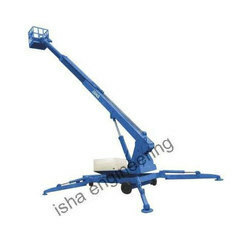 We are the leading and prominent Manufacturer and Exporter of Straight Boom Type Aerial Work Platform. 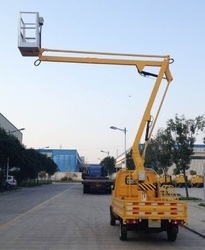 We are Manufacturer of Articulated Sky Lift. superior closed circuit hydraulic traveling system that allows for easy adjustment and can be provided in wide speed range. provide for enhanced worker safety among others. Supported with a team of skilled professionals, we are able to provide a wide range of Sky Lift to our well known clients. The offered product are developed using top quality material. 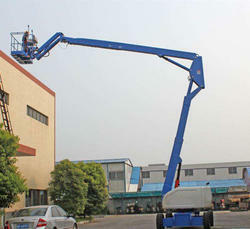 We are leading manufacturers of Articulated Boom Lift. When a boom lift has a mast that can unhinge at the joint points to extend its reach it is called an articulating boom lift. Articulating Boom Lifts are perfect for use when needing to work on an aerial construction projects in tight or awkward to reach places. An advantage to using either an articulated or telescopic boom lift is that one can navigate around obstacles. 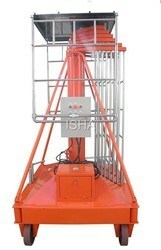 The same cannot be said of a scissor lift rental which only has the capacity to move vertically. 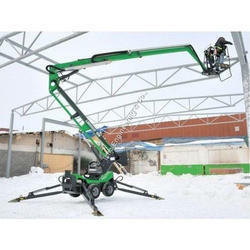 Projects that require significant reach capability will be best suited for a telescopic boom lift with either a straight or stick boom. The machine allows a full 360 degree rotation of its turntable. The boom platform will remain horizontal while it is extended, and can be lowered and raised from vertical to below horizontal. 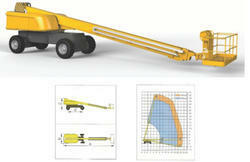 The boom operator can steer the boom lift from the work platform, as well as move the boom forward and backward. This is possible even with the boom extended. In addition, many straight boom lifts and articulated boom lifts are built to move over rough terrain. 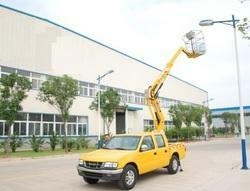 Looking for AERIAL WORK PLATFORM ?